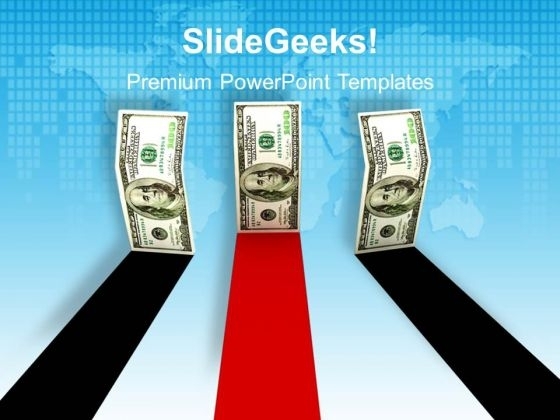 Business Race Money Bills Success PowerPoint Templates And PowerPoint Themes 1012-This template with an image of three Dollar Bills illustrated in the Aligned manner helps you chart the course of your presentation. This Template signifies the Race Concept. The Dollar Bills are placed in 3D manner. You have what it takes to grow. Take your team along by explaining your plans.-Business Race Money Bills Success PowerPoint Templates And PowerPoint Themes 1012-This PowerPoint template can be used for presentations relating to-"Business race money, finance, competition, success, money, business" Our Business Race Money Bills Success PowerPoint Templates And PowerPoint Themes 1012 team cater for all possibilities. You thoughts will automatically factor all in. Brief your team with our Business Race Money Bills Success PowerPoint Templates And PowerPoint Themes 1012. Download without worries with our money back guaranteee.